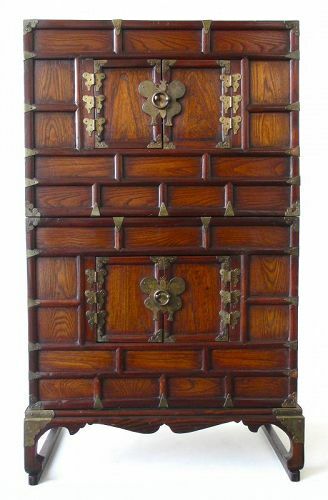 A Korean hardwood bedside chest made with elm hardwood front doors, decorated by brass plate hinges, a central flower blossom medallion, and brass bat shaped handles. 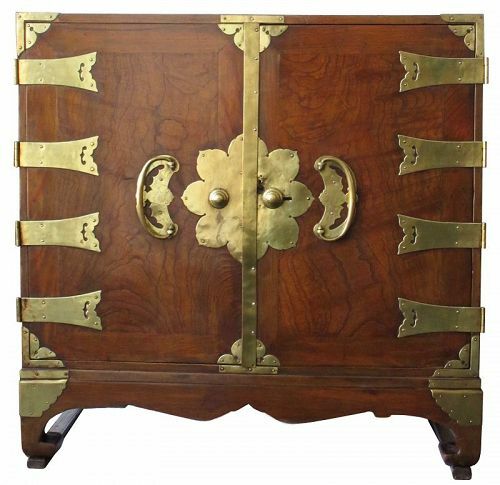 The interior of the chest holds six drawers with brass pulls and dramatic elm wood front panels. 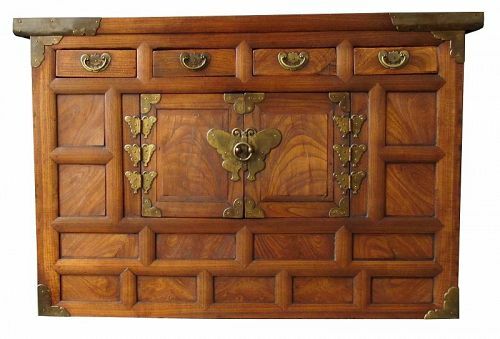 Korean vanity box made with persimmon wood panels. 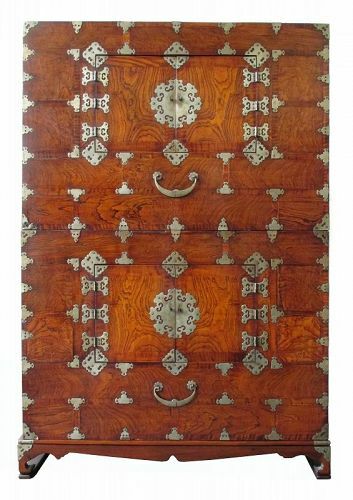 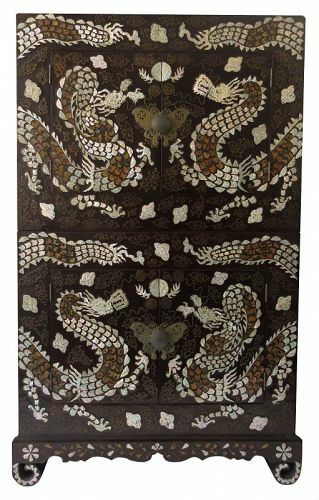 The box lid opens with brass hinges and brass front plating, incised with floral motifs. 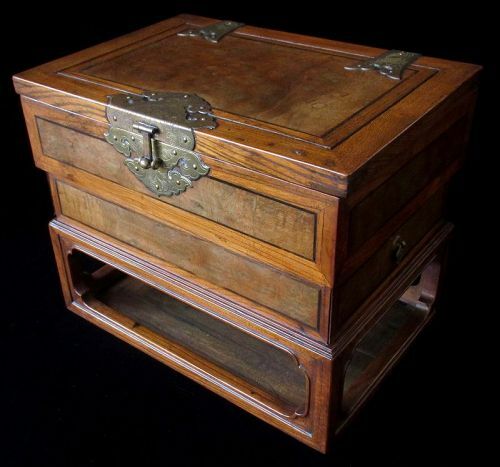 The interior of the box holds 4 compartments. 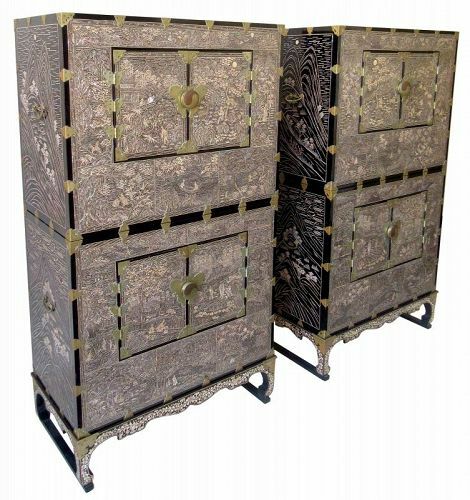 Its sides conceal two small hidden drawers, opened by brass pulls, and the base of the piece has an interior low shelf. 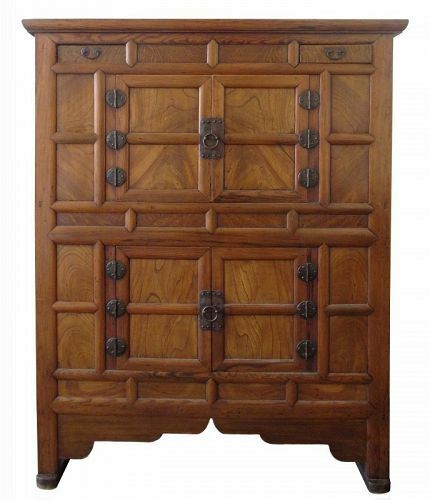 Korean two-level hardwood kitchen cabinet, made with bold grain elm wood panels. 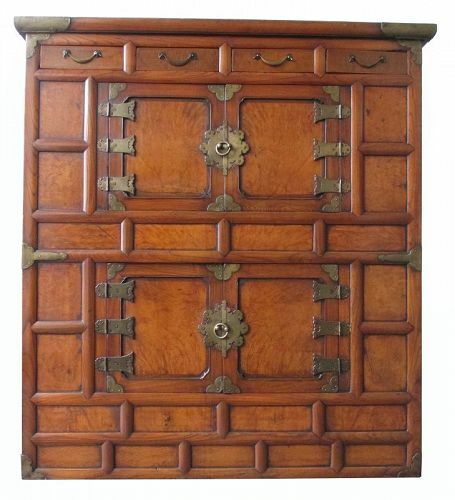 The piece holds two small drawers along its topmost sections and an upper and lower compartment behind its two pairs of front swinging doors. 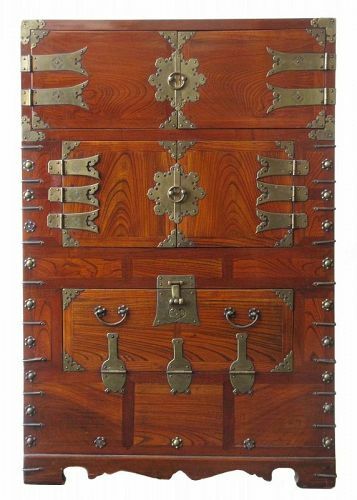 Fitted with hand-forged iron hardware and plates.